Get started with your online education now ! UK Versity partners with the world’s best awarding organisations to offer a range of UG/PG, Vocational and Professional qualifications endorsed by ATHE, DMI, Pearson Education, NCFE, Qualifi Ltd and OTHM. Over 800 learners have successfully completed various qualifications. Learning online is different than learning in a classroom. That’s why we’ve spent hundreds of hours perfecting the way we teach and deliver online. The RQF qualifications have up-to-date modules which are demanded by employers. Get a professional education and reliable consultation by our team of certified teachers and trainers. Our goal is to ensure that you get the quality education at your own pace and convenience!. Online Learning through short courses is a great way to expand your knowledge. By joining our short courses you will not only have access to a module from our diploma or degree courses, but you also get to experience the UK Versity way of learning. Browse over 150 online academic, vocational and professional courses suitable for individuals looking to start or advance their careers. Choose an appropriate payment option and make a secure payment using a credit/debit card or PayPal. Welcome Pack is sent containing Registration, Induction and Enrolment details to get you started. UK Versity has Direct Claims for most Courses offered. Assessment is assignment based and certifications happen within 7 days of course completion. Great Staff and Teachers. I really enjoyed studying at UK Versity. All the best and will strongly recommend them. Very good experience. I like really like tutors. Friendly Environment. I have completed the level 3 diploma and thoroughly enjoyed studying at UK Versity. The teacher is patient and helpful. I did not feel that I was studying and it felt natural while studying in the class. Thank you and I would strongly recommend them to all mature learners. Yes I recommend studying online because of its very useful. Its been really good and helpful. Excellent teaching and enjoyed studying the course as i was able to learn and do the course while working full time. The flexibility to attend classes & recorded webinars was helpful. Highly recommend to someone who is working. I completed the level 4 diploma in management at UK Versity. I loved the support and the teacher who provided guidance and support to complete the qualification. Value for money, great tutors, very patient to listen to questions and give professional answers, UK Versity encourages you to be better. Special thanks to Raman and his team. I had a great time studying here, no regrets whatsoever. Raman Singh is an AMAZING tutor, highly intelligent and naturally gifted in impacting knowledge without struggling. Thank you for always being there to listen to my plight when it comes to assignments, you are very much appreciated. Studying at your convenience, interactive teaching session and comprehensive learning materials, come on, where else if not UK Versity. Value for your money and making you a better person is worth mentioning. Thank you for a wonderful experience. My experience at UK Versity has been amazing and one that I will never forget. I cannot believe how much help I have recieved st UK Versity, all of the studying materials and resources are available for you, the tutors are so helpful whenever you need them and with the idea of having online courses where you can balance your lifestyle with work is amazing. If you find anything difficult or hard, tutors take the time out to help you whether it’s on the phone or email and they send you extra material to help you out and make you successful in the modules. If anything, UK Versity is the place to study an online course, with the level of knowledge and experience from the Module leaders and the resources available, you can be flexible and complete the course to you want. One of few experiences I will never forget. I completed my OTHM Level 5 Diploma in Business Management from UK Versity Online and have found it to be very convenient for studying online. The tutors, Sir Ramen and Sir Anjum, were very helpful and guided well throughout the course. I would highly recommend UK Versity to anyone looking for distance learning. I’ve studied my level 7 diploma with UK Versity and it is only the best distance learning provider in UK. The school provided me everything that I need more than my expectation. During my study , I got many supports from tutors and principal before enrollment and after completion of my program. I am HIGHLY recommend you to apply and I believe you would enjoy studying with UK Versity.To be sum up , no school like UK Versity for distance learning education. I would love to recommend others to join UK Versity. I have finished my diploma at UK Versity and I enjoyed my course during the year. I also feel so happy because I joined the UK Versity and secondly coz I have learned lots of things and got an experience from this college. The staff were so helpful and friendly. They always giving you the best ideas to continue with the course that you study with them. You also have opportunities to choose what course do you need to do during the year. All the best for everyone who joins in the UK Versity. This is my best online course I have done. I have completed my diploma level 3 in business with UK Versity, the qualification helped me to achieve success in high education in UK. Also, the staff so kind and have good communication with students. I am so happy to receive my certificate on time. I would like to say thankfully for UK Versity. I would recommend everyone to study with them. If you want to study online with superb tutors and methods of learning, UK Versity is one of the best. It is not only the content of the courses that are good but as well as how the team encourages the students. Will definitely recommend this 100%. They are also very good advisers on how you would like to grow in learning while working since I am a working professional. Overall, excellent learning institution! Thanks so much UK Versity team! I have finished level4 business management in the Uk Versity and thanks to the staff including teachers I finished it well. They were kind , gave me feedback quick and I have learned lots of things form them. I did not know that online lecture does not have a problem to study. So I would recommend Uk Versity to anyone who wants to study college subject. Really thanks UK Versity!!! Great experience with one of the most supportive, reliable and cooperative institutes for blendid learning. Highly recommended ! Best choice for blendid/ cloud learning. I have just finished my Level 4 in Tourism and Hospitality Management which I loved! And I am about to undertake my Level 5 in Business and Administration Management which I am excited for! The tutors are great and very helpful and all modules and tutorials are very engaging! I would recommend UK Versity to anyone who wishes to study via distance learning *5 stars! UK Versity is one of the leading online university in the United Kingdom which offers a wide range of courses across the globe. the lecturers and staffs are wonderful. UK Versity is one the best institutions I’ve dealt with. Very supportive and helpful throughout my studies and very honest in their approach. I would certainly recommend them for further education. You are building careers and creating a great future! Kudos UKVERISTY!!! Amazing experience with them would recommend to anyone. I found UK Versity staff to be helpful and considerate. Together with the live webinars and study materials provided I was able to complete my studies. I would recommend them highly. The ATHE Level 5 course has allowed me to move ahead in my career. It gave me the opportunity to step into BA Hons Business Management to complete my degree. Thanks to UK Versity. U.K. Versity online is really really helpful to achieve our goals and studying for the MBA degree was difficult. UK Versity made it possible as I work full time and the distance learning option worked perfectly. I was able to fit my studies around my work. I always got the best hospitality & education from them all. So for me I must say 5 stars thank you. I enjoyed learning with UK Versity Online, Mr. Ramnjeet is a very cooperative and competitive. I appreciate. Brilliant place, very easy going , great communication, quick response. Highly recommend. When I first heard about UK Versity I was thinking it’s impossible but I’m surprised with the service as it’s seems like regular studies and I would definitely recommend anyone who wants to continue their studies with little fee. Everyone is helpful in the institution. I already completed my level 6 and 7 from UK Versity. Everything is perfect and I did step by step .I am very happy and thankful for their support.The tutors provided feedback promptly whenever I asked and provided additional reading material for my course. I really deeply suggest to all students who wants to make their future bright ,they contact them and get the good opportunity. My name is Ann Marie blackman-corraspe and I am very proud to be a part of this great institution. Please, there isn’t enough Stars for me to really rate these people. They are Understanding, Respectful and Efficient. I would like to take this opportunity to say special Thanks to Georgina Breeze, from ATHE. This lady helped me when I was having difficulties with Gemal College. Miss Breeze directed me to the Right place, UK Versity. Mr Raman Singh, such an intelligent man never to busy to help students, can answer any question his advice is current and up – to – date. One of best private institute in all over the UK. I’ve completed my two diplomas and got good results. Highly recommended. Its was a great experience to study with UK Versity online. In my opinion that’s is best and excellent. Absolutely superb. Eveything was so professional. 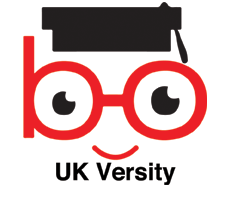 It is one of the best online versity I ever known, their services and teaching styles is great….Thanks UK Versity. UK Versity Online is outstanding!! If you want to do a distance degree there is no any other better option. I am about to end my final year of graduation and I will do master with UK versity next year. They are very helpful, flexible and make it so easy to study around my work commitments. They are also highly regarded by employers. if you are an employee somewhere around the world and want to run studies as well then I will only recommend you UK Online Versity. A better place for studying a better place for learning. I had completed my ATHE Level 7 diploma in Strategic Management with UK Versity and then studying MBA with Northampton University.Thank you so much to UK Versity for providing me the best education and also support me to achieve my goal. Teacher and supporting staff of UK Versity is very helpful and very kind. Raman is very helpful and kind person he is helping me at the bottom of his heart.I wish his every success in his future. I highly recommend to this academy. Excellent range of courses…comprehensive backup and support..!!! Great institution with very helpful staff, highly recommend. Just I completed my MBA and it was an excellent experience and also very very good institute. I am impressed with the quality of education they provided. Highly recommend to all! One of the best tuition provider institute! will definitely recommend everyone who wants to attain professional level education. Completed level 7 with them and they have been very helpful.I would definitely recommend to anyone who wants to continue their studies with UK VERSITY ONLINE. I done my ATHE level 7 diploma from uk versity online.they help me on every step to complete successfully.I highly recommend to anyone who want to complete their studies. I have completed my Level 7 Diploma and MBA. The Quality of education is superb! I have enjoyed my time here I suggest others to use this service which is secure and of good quality. Excellent institution along with quality teaching method and teachers. Good opportunity to get qualifications within short time for people in work or unable to attend to class. Highly recommend to everyone. I did my graduation through UK Versity. I am very happy and thankful to all staff of UK Versity. I suggest students to join it to complete your dream study. I enrolled at UK Versity to complete my course level 7 diploma and found the attitude of the tutors and the centre very helpful. Professional and supportive. I would recommend them strongly to anyone. I am doing my MBA from this institute and I do face some issues but they have been resolved by them. I am very happy with the staff of this institute, they are very coordinating and very good people. Great support I have received , I was studying in another centre, transferred to UK versity because of poor quality studies and support from them. I got support from UK versity any time any day I wanted.. completed my ATHE level 7 diploma in Healthcare Management. Looking forward to study MBA in future . Thanks UK VERSITY. I completed level 5 diploma via on learning from UK Versity and found the centre to be supportive during my learning. The tutors provided feedback promptly whenever I asked and provided additional reading material for my course. I would recommend them to anyone wishing to complete a quality education online. Very thankful to UK Versity team. Top institution, brilliant staff and great environment, highly recommended. I already completed my level 7 and mba from uk versity.Everything is perfect and I did step by step .I am very happy and thankful for their support. I really deeply suggest to all students who wants to make their future bright ,they contact them and get the good opportunity. I did my level 7 diploma few months ago from this centre UK Versity Online, they are well experienced in providing good quality education. Helped me with all my issues very professionally. Great adviser. I recommend this centre. Very friendly and cooperative. I just completed my Level 7 diploma in Strategic Management, Thank u so much Uk Versity for providing me the best education.It’s a real ‘Life changing’ in a positive way. I completed the diploma in strategic management qualification and had support and guidance throughout from the tutors. I am happy with UK Versity and will recommend to anyone who wishes to study online. Excellent institution with brilliant staff members and special thanks to Sir. Ramen for his support and hardwork and specially his patience. it would not be possible to get the level 7 diploma without his guidance. I wish best of luck to UK Versity and to his staff members. You guys are doing superb job. Bless you All. Very good communication with the staff and great effort by Raman to make sure my diploma come through. and also Raman is a very patient man and very good listener and communicate with other in a very good manner. So far the experience has been good although you have to be very disciplined to study from home. Help and support are there if you need it. If you are looking to study towards a degree but have a very limited budget and also go to work, then it is well worthwhile taking a look at the UKVERSITY Online study route. Uk Versity online is very helpful especially when u don’t want to waste time in traveling. You can find a lot under graduate and post graduate courses related your own field online. In every manner, it’s very helpful. As I have finished my diploma in level 7 for strategic management via online from U.K. Versity it becomes so easier for me to complete my further study towards my future. Very thanks to it to give this chance to do a study with them. Don’t waste time in thinking just go and talk. Well its been an honour studying and learning with UK Versity online the admin and everyone related to this institute is absolutely great and friendly loved been studying here I highly recommend the students to study and get the best motivation from here. Great services as always, never fail to deliver. Staff very friendly and efficient. One of the best centre I’ve worked with! Highly recommend ? I completed the level 4-7 management qualifications with UK Versity. The thing that stands out for them is the super support and response time from the tutors and staff. I am happy with UK Versity commitment to help students and professional study material provided online. I wish them well and would recommend to anyone who wishes to study online. Best of luck to the institution! I have completed my MBA at Anglia Ruskin University via UK Versity.The assistance and help being provided by UK Versity were amazing and I would say they are the best distance learning provider on the planet. Thank you Raman and All UK Versity Team for been so nice to me.i would definitely recommend to everyone. I have thoroughly enjoyed my studies at UK Versity and have successfully completed level 4&5 diploma. Two things which I would say about them- tutor support and availability of learning resources are great. I would recommend them to anyone who is looking to study online and is working full time. The ATHE course which I completed from UK Versity allowed me to progress to a Bachelors Degree and after completing am now working in HK. The qualification and teaching at UK Versity gave me the opportunity to improve and complete my education. I came to UK Versity from another centre and found them very helpful. They were supportive and I completed the ATHE Level 5 Ext. Diploma in Healthcare. Thanks to them, I have now got a job back in my home country – Vietnam and would give them 5* for the study material. The BA course has given me the confidence to move ahead in my career. It gave me the opportunity to step back and reflect on what I do, how well I do it and where I can improve together with the toolkit to progress. I completed by ATHE Courses from UK Versity and I found the tutors delivery very helpful previous to this I had enrolled with another online business school and they were awful, but I transferred over to UK Versity after speaking to ATHE and glad that I did. The staff was very helpful and friendly and I completed the course to progress further to my degree. Very helpful and excellent teaching methods. Studying at UK Versity was one of the best experiences of online education. 1-to-1 sessions and if you missed, they forward the recording for you to view and revise. Great learning Platform and will recommend them to anyone wanting to learn online. I very recently completed my level 5 at UK Versity Online and I must say the time went by very quickly. The tutor support was excellent, the administration was excellent and they actually really want you to excel. My time with them was nothing short of amazing and studying with them didn’t feel stressful at all. Thank you to Raman and my tutor Anjum for all they have done during my short time. Will definitely recommend them to everyone.